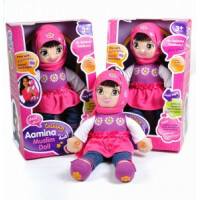 Be the first to own one of our new and improved dolls! 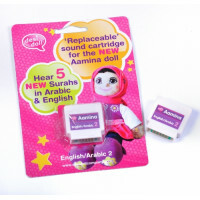 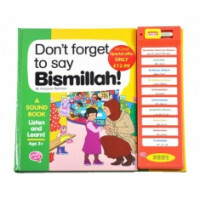 *** NOW WITH REPLACEABLE..
Aamina doll cartridge 2 5 new surahs / verses from the Quran, for ch.. 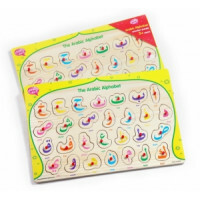 Please note, this puzzle doesn't talk This colourful wooden puzzle is a gr..
World's first ever Wooden Arabic Alphabet SOUND puzzle. 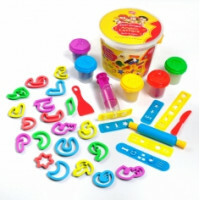 Replace the letter in the cor..
Children will love to press the sound panel to hear the correct Arabic pronunciation of p..
NEW Fun Dough Arabic Letters Use the included cutters and tools to make fu.. 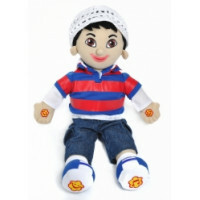 The much awaited new and improved Yousuf - Talking boy doll .... is back by popular deman..
Yousuf doll cartridge 2 5 new surahs / verses from the Quran, for children..